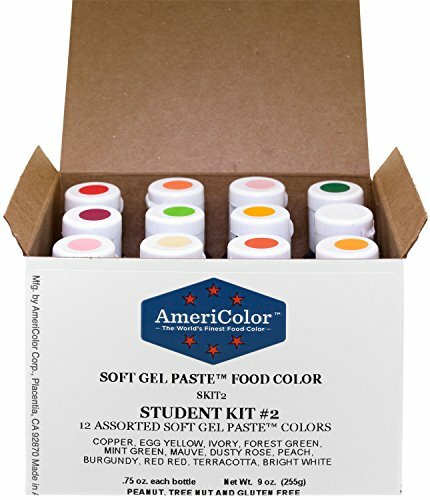 AmeriColor Soft Gel Paste is the first choice of top decorators worldwide. Need to color royal icing, buttercream or fondant? How about cookie dough, cake batter or macarons? AmeriColor Soft Gel Paste is the best way to bring deep, vibrant color to any project-and get consistent results from batch to batch! Signature squeeze bottle with flip-top cap, certified kosher and made in the U.S.A.